Building a Home Theatre in your house? Suspended ceilings offer great access into the ceiling space for running cables & wiring and any other reason you may need to get up there. At BC Ceilings we have one of the largest selections of Acoustic Ceiling Tiles in Western Canada including High NRC & CAC to choose from. Be sure that stereo sound isn't travelling through your house by using the RSIC DC04 clip when dropping your ceiling & the RSIC-1 decoupling clips before dry walling your theatre room as well! 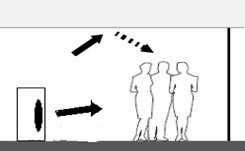 **Also ask about Decoustics Low Frequency Tuner acoustical wall and ceiling panels which consist of a multiple density core, with a membrane type absorber (drumskin) located within the core. The face of the panel is then finished with a fabric or vinyl. 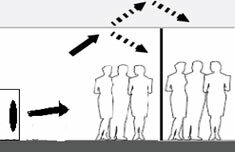 The installed panel provides acousticians with a method of controlling low frequency reverberation. Looking for the finishing touch on a newly renovated space in your house? 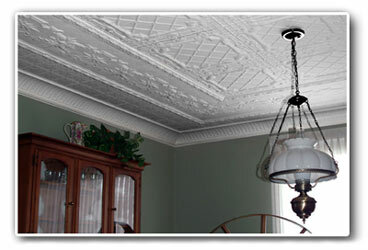 Brian Greer's Tin Ceilings add elegance to any room design & with a huge selection of panels, moldings, fillers & cornices - the possibilities are endless! Building an indoor Pool, Hot Tub or Sauna? 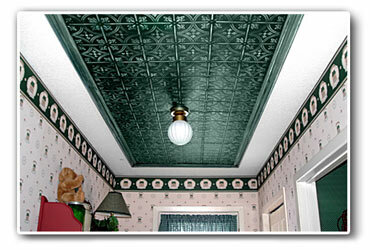 We sell an Aluminum Ceiling Grid & Ceramic Ceiling Tile made just for this purpose. The Aluminum Grid will not rust & the ceramic tile will not sag under such humid conditions! Just looking to freshen up that dark old basement? Chablis & Celest 12" x 12" Staple up tiles are easily installed by running furring crosswise across your joists & then just stapling them up!